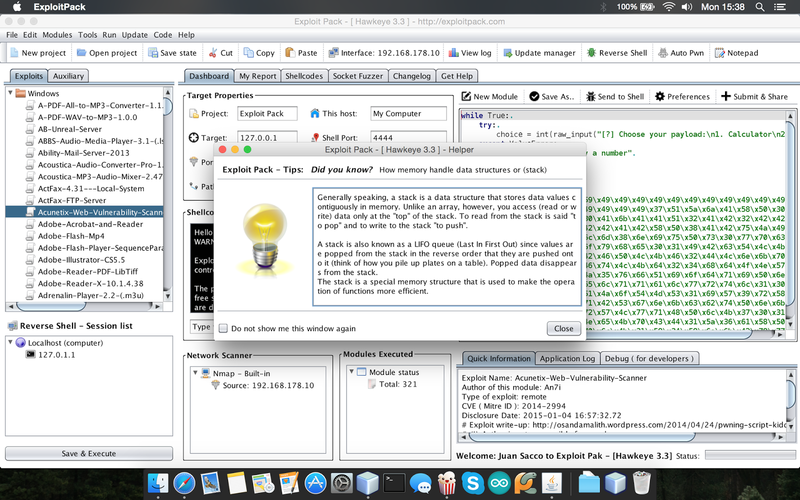 Exploit Pack comes into the scene when you need to execute a pentest in a real environment, it will provide you with all the tools needed to gain access and persist by the use of remote reverse agents. Exploit Pack will provide you with a complete set of features to create your own custom agents, you can include exploits or deploy your own personalized shellcodes directly into the agent. Quick exploit development, extend your capabilities and code your own custom exploits using the Exploit Wizard and the built-in Python Editor moded to fullfill the needs of an Exploit Writer.